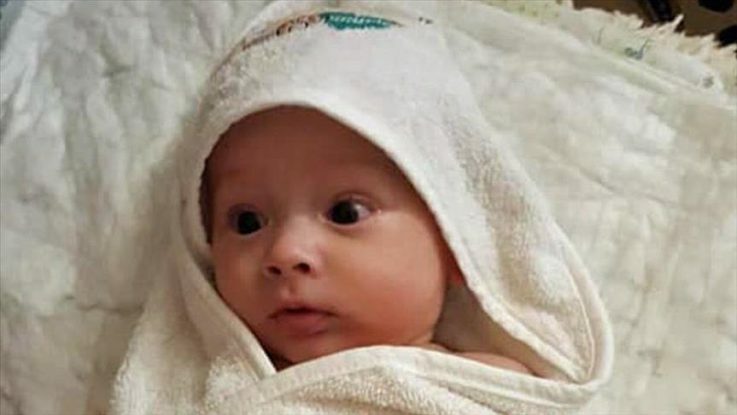 Arslan Kulacic, a six-month-old Bosnian baby who was diagnosed with a tumor, was brought to Turkey for surgery, said Acibadem Hospital’s chief of medicine Caglar Cuhadaroglu on Friday. A campaign to raise money in Bosnia and Herzegovina for the baby’s surgery managed to collect 133,000 euros (a little over $166,160) for his surgery. He was brought to Turkey on Jan. 30 by air ambulance and had an operation at Acibadem Hospital in Istanbul. “When he arrived, his health status was assessed urgently by our relevant experts. A large brain tumor was detected. It was also observed that the tumor was scattered into the brain in small pieces,” Cuhadaroglu said. “He was admitted into immediate surgery due to obstruction of infant cerebrospinal fluid circulation. During surgery, the spinal fluid was drained and occlusion was cleared. The baby is now in intensive care after surgery,” he said. His condition will be clearer in the coming days, hospital officials said. Arslan Kulacic’s treatment can be supported by donating to the “Pomozi.ba” charity organization.